As you know Ha long is one of the most beautiful places in Vietnam travel. Many people decide to come to this place for their vacation. Let’s find out the top attractions in Halong Bay with Origin Vietnam team. If you are on Halong tours you can not skip Bai Chay. This place is notorious with cool blue beaches. 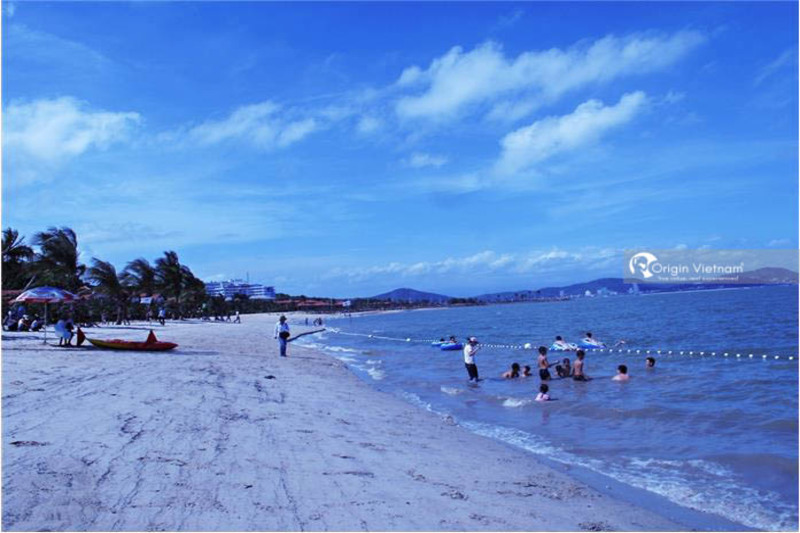 Bai Chay is a diamond island with a length of 6km, with a large and beautiful artificial beach. This beach is near the coast of Ha Long Bay. The sandy beach is more than 500 meters long, 100 meters wide. Bai Chay Tourist Resort is becoming one of the top attractions in Halong Bay. This is due to the beaches intermingled with diverse architectural villas. And other entertainment forms such as water puppet shows, traditional music and exciting games on the sea. Bai Chay Resort has well-appointed hotel and many restaurants, bars and entertainment centers. It offers 24-hour service. 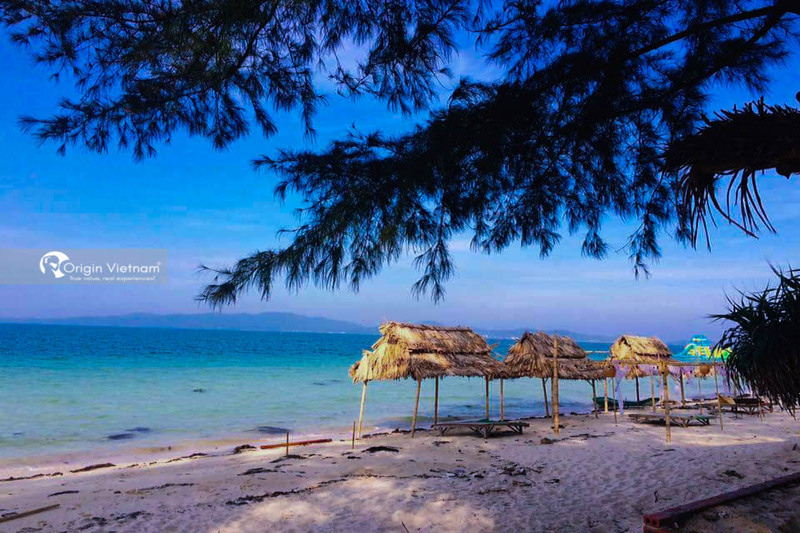 Bai Chay beach with fresh climate, clear blue sea is very suitable for tourism and relaxation. Co To is considered one of the most beautiful islands in the Gulf of Tonkin. So of course it is one of the top attractions in Ha Long Bay. This place is known for the wild and fabulous beauty with an area of 47.3km2. Co To island is famous for more than 50 islands. 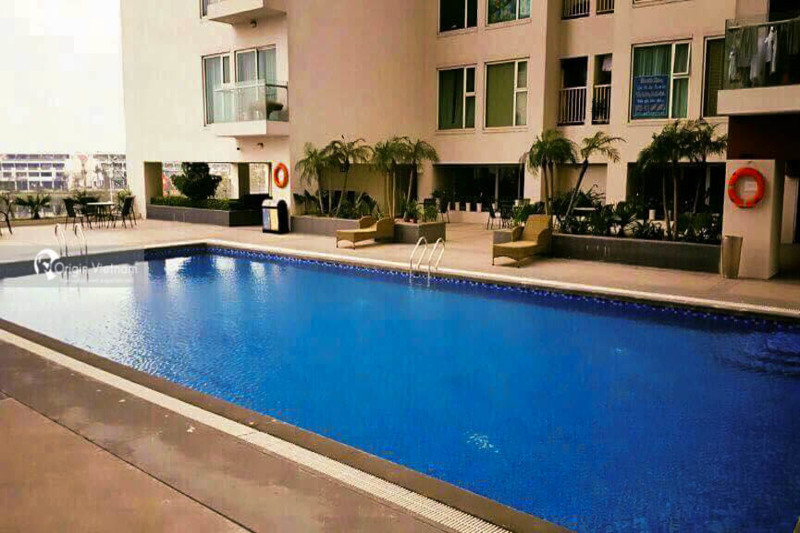 Small rocks and clean beaches, and fresh, natural scenery is ideal for swimming and summer resort. Going to Co To island you cannot stop visiting Ben Chan Floating beach. There you can enjoy gentle, shallow water and wild, charming. Co To island with two very clean beaches is suitable for picnics. You can visit the quietest and clean beaches in Co To: Hong Van beach. Especially Co To is perfect for watching sunrise. You can also enjoy the specialties here. Traveling to Co To Island will be an extremely enjoyable experience. To go to Co To island the best way that you can take private tour in Halong Bay. It's can take 3 days/2nights. Tuan Chau is about 2km far from Halong city. The Tuan Chau island tourist resort is a beautiful area of 220ha. It is the only island and shale island in the region with fine white sand. The lind of sand stretching beautifully along the clear blue sea. It is surrounded by green pine trees and cool climate. Tuan Chau Island is no doubt a top attraction in Ha Long. In addition, Tuan Chau Island also has restaurants with unique architecture and specialties. Not to mention numerous modern club shows. There are also many beach sports activities, water music and many other services. Tuan Chau island has become the Ngoc Chau island of Ha Long. 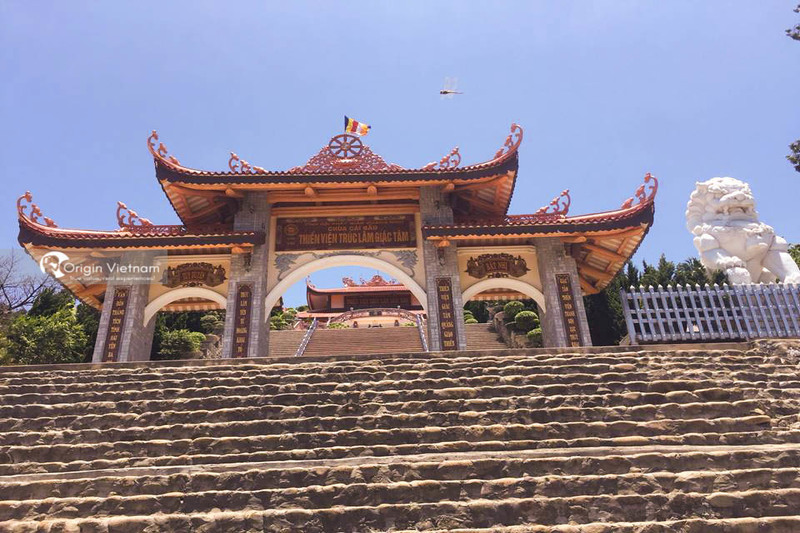 The list of top attractions in Halong Quang Ninh can not lack Yen Tu Mountain in Uong Bi City. Yen Tu preserves many historical relics. And it was dubbed as "Buddhist land of Vietnam". The length of the road to the peak Dong Pagoda is about 6000m. If you walk it takes about 6 hours. Now there is also the cable system to make the travel easier. 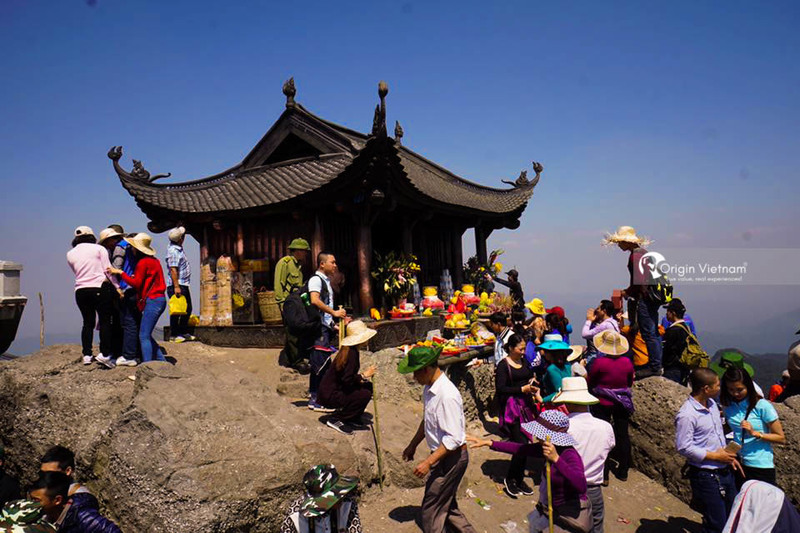 Cai Bau pagoda is an incredible popular tourist place in Ha Long. In the middle of a busy Ha Long Bay, this place makes you feel peace and calm. Go to Cai Bau pagoda you not only get to see the pagoda, but also enjoy free vegetarian food. From there you can go to Ba Hang fishing village. Located next to Thien Cung grotto, Ba Hang fishing village is famous for many domestic and foreign tourists. Ha Long Bay is home to many wonderful attractions. That is why it attracts thousands of visitors every year. Hopefully this list of top attraction in Ha Long Bay has helped you decide the places you want to visit. Contact Origin Vietnam if you need any information about Ha Long attractions or Halong tours. We can give you the most enjoyable journey in Ha Long. Or You can refer more: All things need to know before travel to Halong here. Wishing you have a wonderful time in Halong Vietnam.